Chervon Australia has been recognised as an ABA100 Winner for Eco Innovation in The Australian Brand Awards 2017 for the research and development of EGO Power Plus Backpack Blower. 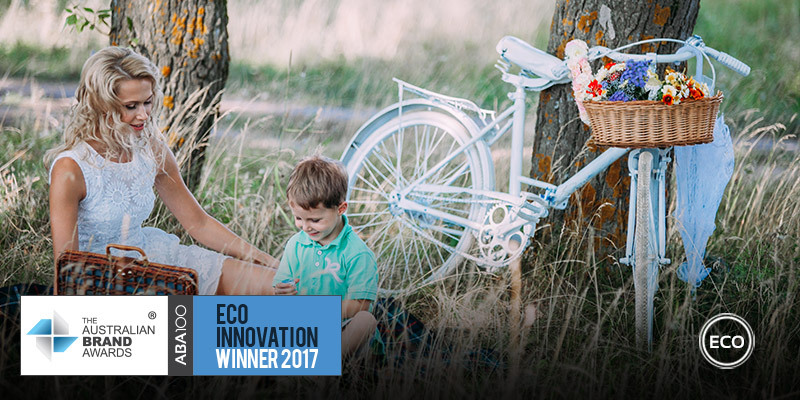 The Australian Brand Award for Eco Innovation [ECO] recognises environmentally conscious products that provide innovative solutions for consumers. Chervon specialises in researching, developing, manufacturing, testing, sales and after-sale services for cordless power tools, outdoor power equipment and related product categories. The business aims to replace combustion engine outdoor power equipment to minimise negative environmental impact and enforce low carbon practices across its operations. The EGO Power Plus Backpack Blower, is the industry’s first cordless blower to offer 1020m3/h of air volume capability. Built on the proven design and features of the EGO 56V Power Plus ARC Lithium platform, the Backpack Blower is the next evolution in EGO’s air-moving outdoor power equipment offering. Powered by the industry’s most advanced 7.5Ah Lithium-Ion battery, and incorporating the very latest in fan turbine engineering and performance characteristics, the new Backpack Blower sets a new standard in cordless rechargeable blower performance and design, with the aim of creating a high performance Backpack Blower suitable for both domestic and commercial use. As well as allowing cordless manoeuvrability, the EGO 56V Power Plus Battery has been carefully designed to be interchangeable with the full EGO range of outdoor power garden equipment, such as line-trimmers, chainsaws, hedge trimmers and mowers. The EGO Power Plus Backpack Blower incorporates an ergonomic harness system that ensures user comfort and easy operation. The handle also incorporates an anti-electrostatic absorption panel, to ensure any user static electricity build-up is easily discharged. Users also benefit from having a Backpack Blower that does not vibrate excessively in their hands due to the internal vibration dampening system built into the body of the Backpack Blower. In addition, Multi-directional Air Intake means air flows freely into the intake and chances of performance being reduced as a result of intake blockage are significantly reduced. Extensive durability testing during the development process has led to the EGO Backpack Blower to boast a 5 Year warranty on the Backpack Blower, and 3 years for the Battery and Charger.